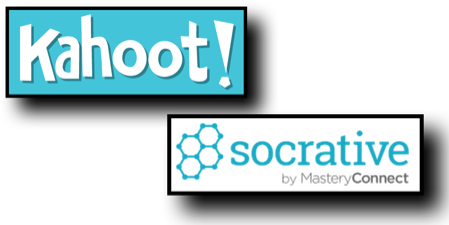 Using Socrative and Kahoot to Engage/Gamify/Quiz Your Students! Game-based student response systems (a.k.a. “clickers”) are increasingly becoming a popular technology tool to engage students in classroom activities. However their high cost and steep learning curve prevent many classrooms from utilizing this exciting technology. Learn how online tools like Socrative and Kahoot aim to change all of this! Socrative and Kahoot are free web-based student response systems that run on ANY device with a web browser. See how you can use tablets, smartphones, Chromebooks or laptops as “clickers” instead of investing in the more traditional one-purpose only hardware devices on the market. 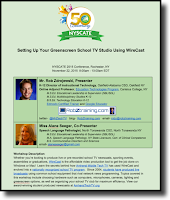 Please BYOD (bring your own device) and join us for some fun demonstrations of Socrative and Kahoot!